If you spend much of your time on the mountain, it is a wise idea to invest in a decent goggle that actually has great lens selections, quality, and comfort. Make sure that you get something that does not fog up. The difference between a quality goggle and a cheap one may decide whether an accident is going to happen or not. 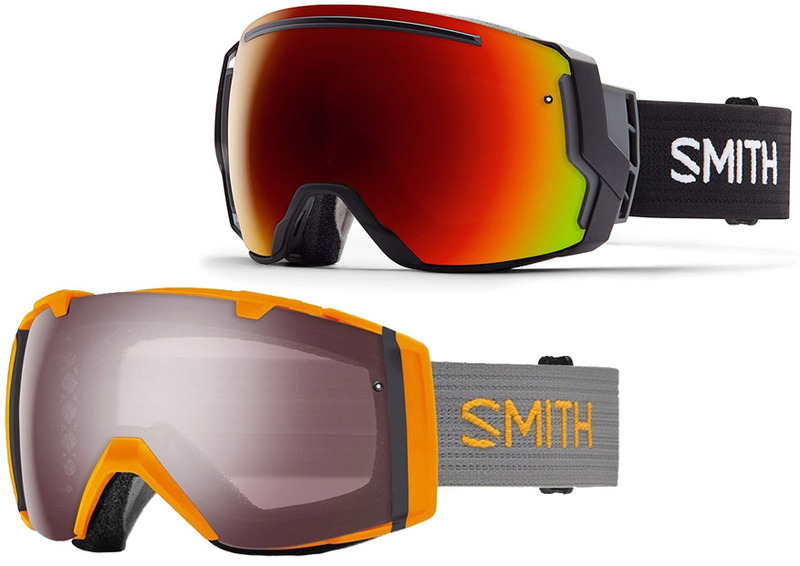 Smith IO goggles are some of the best choices on the market. In this article, we will try to determine the differences between Smith IO vs IO7 to help you choose the best quality goggle for the money. Obviously, the very first difference between Smith IO and Smith IO7 is the size. Note that Smith IO is designed to provide a small-medium fit. On the other hand, Smith IO7 is designed for a medium fit. It is a little bit larger than Smith IO, but not as large as Smith IOX which we previously discussed in Smith IO vs IOX. Which size should you choose? The answer depends on the shape and size of your face as well as the helmet that you are going to use. If your face is really on the smaller side, you will feel more comfortable with Smith IO. However, if your face is about the medium size, Smith IO7 is probably more suitable. Each of the two models is equipped with the Porex filter. This filter basically acts as a pressure release valve. The interior of the frame is padded with triple foam layers for the best comfort. It is soft and nice. It also helps to keep a degree of heat on the area so that your face will not freeze. They each also come with a silicone grip on the strap. They fit snugly and comfortably. The next significant difference between Smith IO vs IO7 is regarding the lens lock system. Well, it is true that both of these two models have interchangeable lenses. This is a very convenient feature. Instead of buying multiple goggles for different occasions, you can just buy the lenses. Just swap the lenses to face different conditions, either a sunny, bright day or a dim evening. However, Smith IO is equipped with a traditional lock system. It is effective for keeping the lens in place, but it takes a little time and effort to insert the lens. Apparently, the company is aware that there are some good things that can be improved to be even better. So, Smith IO7, which is a newer model, comes with a new open-ratchet lock system. It is a little bit easier to change lenses. Although the difference is not very dramatic, the larger size of Smith IO7 has allowed an increased field of view. You can have a slightly wider vision with this model. Nevertheless, Smith IO is actually also good, but you will focus more on the view in front of you, as the peripheral vision is limited. In terms of value, Smith IO7 is indeed the better choice. It comes with a new lock system that is easier to use. You can swap the lenses more easily. In addition, the slightly larger size allows more peripheral vision. But you can choose Smith IO if you really prefer a smaller, more compact goggle.